UVic-UCC has many active research groups, some of which include readers and contributors to this blog. Over recent times the university has been making an effort to display the range and focus of its research groups. Thus we have seen posters around the town illustrating the university’s research groups and the new U-Divulga blog focusing on research and innovation. 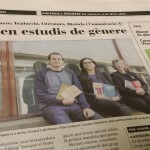 We have also seen research groups featured in the local newspaper El 9 Nou. 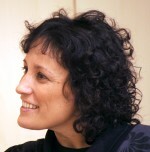 First, on 5 June, there was a feature on the Gender Studies research group, led by Pilar Godayol. And on 26 June it was the turn of the TRACTE research group, led by Eva Espasa.